Bullish on India as a market place as well as a manufacturing hub, leading aircraft maker Airbus has said it has begun sourcing components for almost all its jets from the country and aims to take its cumulative sourcing from there to USD 2 billion in the next five years. Showering fulsome praise for the Modi government's Make in India campaign, Airbus said it's making large number of products in the country, either directly or through its supply partners, where collectively more than 5,000 people are employed. "It's a great initiative and we are already pushing for it in a big way. We have done a lot of 'Make in India' of our own and we would do much more, going forward," the European giant's Managing Director for India Srinivasan Dwarkanath told PTI in an interview here at the Paris International Air Show. The company's latest A380 aircraft, which is being displayed here, has got evacuation slides for all its eight doors made in Bangalore while there are many other products that the company is getting made in India. "Almost all our products have got India-made parts," he said. Dwarkanath said there are broadly four areas of focus for Airbus in India -- engineering, services for customers, aerospace partnerships and R&D innovation. "Some of the common themes across all these focus areas are skill development, jobs and getting and transmitting the know-how," said Dwarkanath, who is the Vice-President for International Cooperation, South and South-East Asia, besides being MD for Airbus India. Airbus' own centre in Bangalore for engineering has got more than 350 engineers working in core engineering functions while there are over 2,000 people across the supply chain in this segment. Two offshore development centres are also employing 300 people each, he added. In the aerospace segment, Airbus has got over 40 suppliers and partners, including the Tatas and the Mahindras. 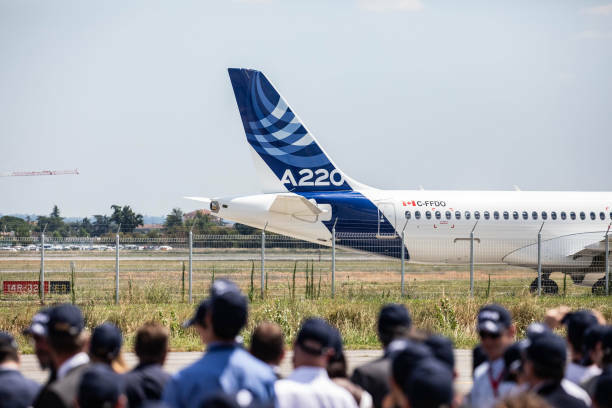 "Across the supply chain, more than 5,000 people are working, including one-third on the manufacturing side, exclusively for Airbus products. Our target for the next five years is to source USD 2 billion worth products from India cumulatively up to 2020," he said, while adding that the growth in the past 10 years has already been of about 12 times.